Center Gate in Sarasota is a neighborhood with collection of single-family homes and maintenance-free villas ideal for families, seasonal residents and retirees. Development of this community began in the late 1970s and continued through the early 1990s. There are nearly 200 single-family residences and more than 400 villas in Center Gate; most homes were built following the Florida ranch-style architecture, with some Mediterranean design hints in the most recent constructions. Center Gate is located south of the Sarasota Springs neighborhood, just west of I-75 between the Bee Ridge and Clark Road exits. 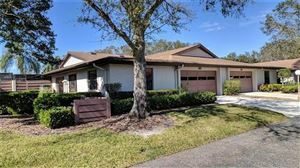 This is a very attractive location due to its proximity to I-75, the Tamiami Trail and Siesta Key. The neighborhood features quiet boulevards and manicured landscaping. Many of the single-family ranch-style houses have expansive front lawns, hedgerows, swimming pools, Florida rooms, and roomy interiors. Affordability is one of Center Gate’s strongest selling points. Spacious four-bedroom homes built on 3,771 square feet are priced at just $360K, while cozy two-bedroom houses measuring 1,350 of living space can be found from $102,900. The extremely reasonable prices come with the added convenience of a great location: Center Gate is close to a commercial district that includes names familiar to most Floridians, such as Publix, Home Depot, Wal-Mart, L.A. Fitness and more. All these are within walking distance, as well as the community’s own Urfer Family Park. Residents of Center Gate villas also have access to a community swimming pool. Active seniors will find many activities nearby, from golf and tennis to the white sands of the beaches in Siesta Key and cultural activities downtown. Young residents who go to school can attend the Ashton Elementary, Sarasota Middle and Riverview High Schools from the Sarasota Public Schools District. 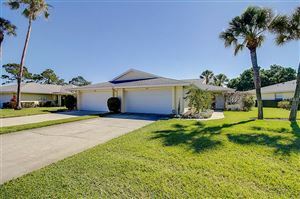 See all Center Gate Sarasota Florida Homes for Sale.